As low as $34.95 per gallon! 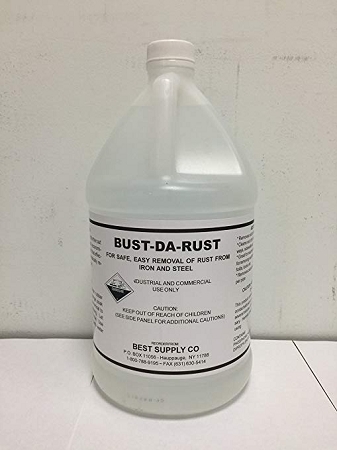 Remove your rust safely and easily with Bust-da-Rust! This water –based, non-toxic biodegradable solution is the latest technology on the market. 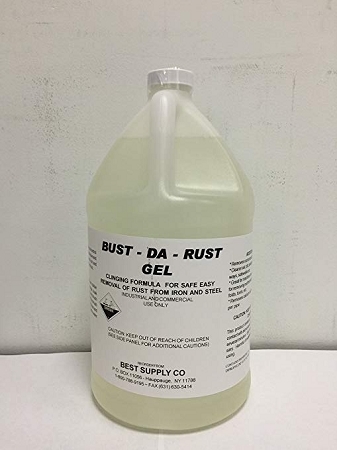 With Bust-da-Rust!, all rust is removed with minimal effort, and in addition, leaves behind an iron phosphate coating that will act as a primer for any topcoat or paint application. 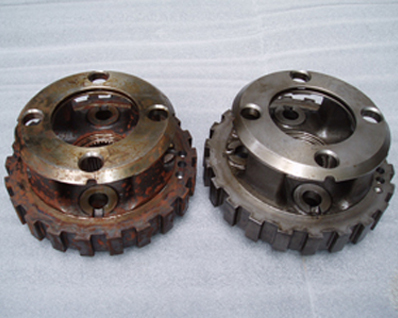 Unlike outdated rust removers that leave behind a zinc phosphate coating that contributes to hazardous heavy metal waste, Bust-da-Rust! is safe, easy to use, and gets the job done fast. Bust-da-Rust! 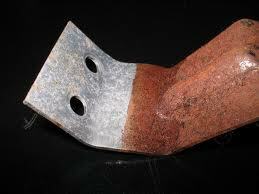 can be rolled, brushed, or sprayed onto rusted surfaces. In addition, items can be completely immersed into our Bust-da-Rust! 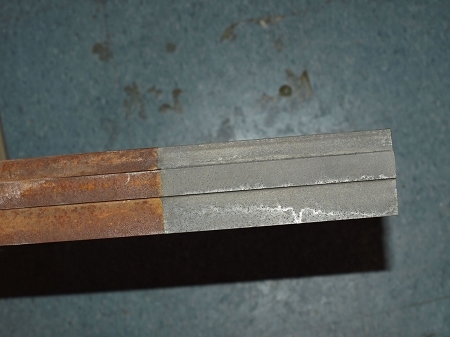 solution to allow the area to completely soak through without damaging metal. 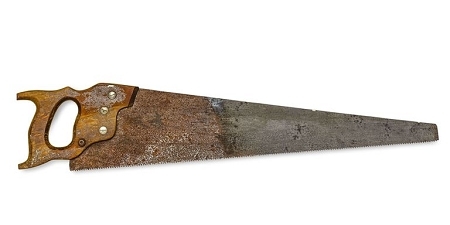 Light rust can be removed within 15 minutes, while heavily oxidized areas may take up to 2-4 hours. Bust-da-Rust! 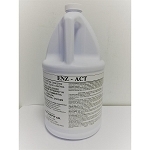 is also available in a gel for angled or vertical surfaces. Your Price: As low as $15.95 per pound!